This article investigates titles and epithets of palace chamberlains connected with the crowning ceremony and the crowns themselves as symbols of economic and political power of the king during the Old Kingdom. The core of the work is a study of titles and epithets of officials in the context of legends found on the Old Kingdom cylinder seals. Special attention is paid to the epithets sḫkr(w) ḥ3t nṯr.f “he who adorns the brow of his god” and m33 nfrw nb.f “he who beholds the perfection of his lord” (with variants). The main part of the article represents an interpretation of the unique epithet m3ṯ bjt nswt “he who raises the Red Crown of the king”. Some bureaucratic and theological aspects of the use of the verb m3ṯ having the meanings “to claim, to enroll, to invent” are investigated on the basis of the sources from the Old Kingdom until the Ptolemaic times. It includes a detailed analysis of the coronation report of queen h3ṯ-špswt (Urk. IV, 261,2–262,1) which contains a number of terms designating a royal titulary. The final part of article is devoted to the verb m3ṯ having the meanings “to praise” and “to raise” (a crown) according to texts from the Old to New Kingdom. The main conclusion of the article is the following: the palace chamberlain dealing with the crown while performing his duties accepted it as a symbol of the economic power of the king. Therefore, this official, because of his participation in some kind of economic action, could include some epithet in his titulary that would characterize his function on the palace service as a universal concept in which its important role in all industrial management was emphasized. Key words : ancient Egyptian epigraphy, Old Kingdom, ancient Egyptian lexicography, administrative history of ancient Egypt. The article examines the administrative system of Nippur, a large religious center of Babylonia. Written sources from this city make up ca. 90% of all data on the history of the Kassite period (ca. 1595–1155 BC), making Nippur one of the primary objects of research as regards the socio-economic history of the region. Nippur, the main cult city of the god Enlil, was a center of the province with the same name and probably of the adjacent province Pān-ṣēri. Nippur had its own governor called šandabakku (Sumerian GA.DUB.BA(.A) / GU.EN.NA) who controlled political and economic affairs in these provinces. The šandabakku of Nippur was directly responsible to the king of Babylonia and controlled a number of officials working for the palace and temple household. In the present article the usage of the titles kabīr and qayn are considered on the basis of substantial data of the ancient Yemenite epigraphic documentation of the lst millennium BC and originating from city-states of the region of al- Djawf as well as from territorial states (Saba’, Qatabān, Ḥaḍramawt). Their bearers proved to be common functionaries in pre-Islamic South Arabia of that period. As a result, the author succeeded in establishing that the term kabīr designated any administrator whose power was founded on the principle of oneman management, while the title qayn was applied to a member of a collegial body (“counselor”). The treatise named “Notes on Warfare” (1819) by an outstanding Vietnamese neo-Confucian historian Phan Huy Chú (1782–1840) is a precious source concerning the warfare problems in the state of Đai Viet under the rule of the Late Le dynasty (1428–1789). The work contains rich information about military training and military exams during this historical period. The first monarchs of the Late Le dynasty practiced inspections and maneuvers of the regular army and military exams for the officer’s rank candidates as well. His majesty Lê Thánh-tông (1459–1497) himself created the Armed forces Regulations, which specified the main battle-formations and the ways of combat hostilities for all the types or army and naval forces. The Military Academy “Giảng Võ”, where the education of the command staff took place, was also founded in this period. Following the times of decline, caused by the feudal strives of 16–17 cent., the system of military training was reborn by the rulers of Trịnh clan in the North-Vietnam princedom of Đàng Ngoài. In the 18 cent. the exams were held both on the province and the capital level. They were aimed at choosing the best candidates for officer rank and at testing the current command staff. The order of the exams followed local traditions as well as the Chinese model. First the tests in martial arts were conducted. Mainly the skill of fighting with close- and long-range weapons both on foot and on horseback was tested. Next was the theory part in the form of a written composition and interview about the main ideas of the Chinese Military Canon. Special exams were arranged for the soldiers of provincial and the auxiliary capital army and navy troops. Here the formal exercises both with weapons and without them were done as well as sparring. The victors were encouraged by laureate degrees following which the money prizes were paid. Traditional China can be called a bureaucratic empire. The success and welfare of bureaucratic empire are entirely dependent on the efficiency of the members of the state machine. But this efficiency, in its turn, is determined by the ideological purity and integrity of officials, their professionalism and the optimality of their organization. It is on these three key issues that the T’ang China’s laws aimed at legal protection of governmental personnel policy were focused. Russian-Chinese relations from the time of their origination in the early 17th Century and up to the second half of the 19th Century had been developing within the framework of the traditional foreign policy doctrine that had been in existence in the Chinese empire for more than a thousand years. The policy divided the world into two unequal parts – the Middle country and the barbarian periphery. The arrival of official envoys of the Russian court in the capital city of China was considered by the diplomats of the Li-fan-yuan exclusively as a visit of regular “vassals” of the East Empire who came to pay their respect to the Chinese monarch. The “tributary” status of the Russian ambassador required performance of a number of humiliating ceremonials in Beijing that, according to the Europeans, contradicted generally the accepted standards of international relations and discredited the independent status of the mission. As the Russians took the lead in the contacts with China the heads of our missions had to make every effort to satisfy the expectations of Chinese officials about the so-called dependency of the Russian Empire and obtain the desired results of the visit at the same time. The Buryat Steppe Dumas were one of the ways to keep the ethnic regions on the eastern border of Russia under imperial control. They became the inheritors of the first ethnic bodies of Buryat self-government, each of which was called a mirskaya sbornaya izba (“common meeting house”), i.e., Steppe Offices (or Boards) that headed up the institutions created on the basis of the Buryat “generations” (clan and tribal units). The administrative structure of the Steppe Dumas and the finer points of their functioning reflect the stages in the Buryats’ adaptation to and further integration into the Russian society, the experience of building the “center–periphery” relationship system, the regional specifics of government in ethnic regions. The local peculiarities of imperial government in the Baikal Region also owed much to the location of the Buryat territories near the border. As a result of the “English-Russian delimitation” of 1895, the Western Pamirs were put under the control of the Russian Empire, but officially were recognized as part of the Bukharan Emirate. The Emirate authorities attempted to extend their own administrative structure to the new territories, but there had already existed ancient traditions of power, administration and law in this region. So, the Russian representatives in the Western Pamirs had to interfere into the administrative process to keep the peace between the Bukharan officials and the Pamirs. At that Russian authorities kept in mind the local traditions and customs, which provided local sympathies for the Russians and, finally, transfer of the Western Pamirs under the actual administration of the Russian Empire. During the 17th — 19th Centuries the Russian imperial citizenship of the Kazakhs put on various ceremonial and symbolic forms. The supreme power and local authorities established the procedure for the enthronement of khans, defined criteria and assortment of awards for nomadic aristocrats, regulated the sending and receiving of the Kazakh delegations in the capitals and regional centres. In the course of the travels of royalty through the Empire there was a representation of Kazakh people’s culture and mode of life which was expressed, apart from the obligatory declarations of loyalty to monarchs, via gifts of indigenous artifacts and learning about nomadic everyday life. 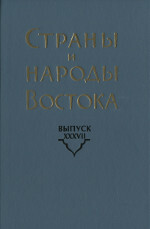 The article analyzes the main concepts of Mongolian political culture in their concrete expression typical of a 17th-century historical document: ulus — the socio-political space of the Mongolian society; ejen — a ruler invested with the highest power; suu and sulde — terms for the charisma of a ruler who is associated with toro, the all-embracing law of the Universe; küčün and erke — the concepts of the kinds of force that made political power legal. Comparative analysis of concepts in The Secret History of the Mongols (13th century) and the Shara tudzhi (17th century) allows us to keep track of changes in the political culture of the Mongols.